According to Crunchyroll, Bandai and Sanrio have announced Gundam vs Hello Kitty as a special collaboration project in light of the shared anniversaries. 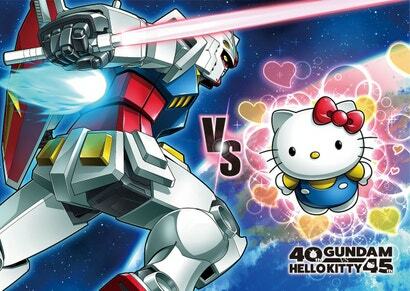 It will see Japanese fans lend their support to either Mobile Suit Gundam or Hello Kitty across various promotional campaigns. 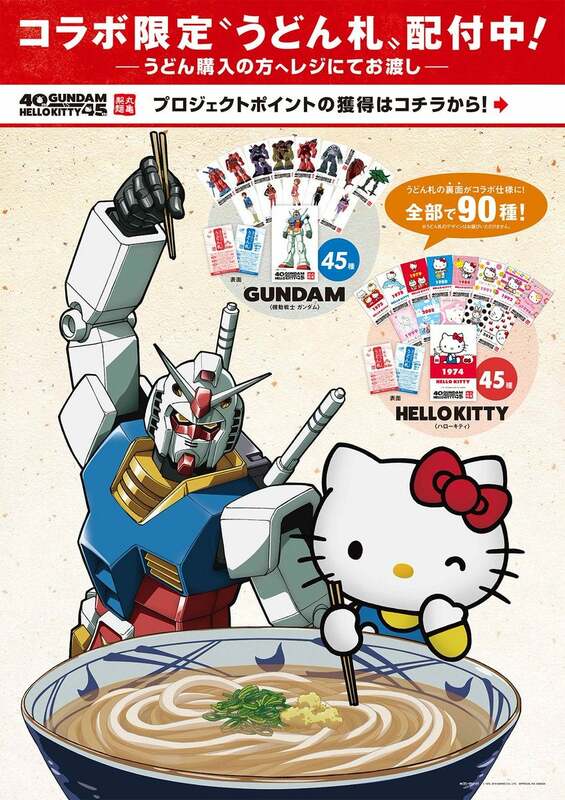 Messaging app LINE will have stickers highlighting the characters clashing with each other, there’ll be special merchandise — please enjoy the below image of the Gundam RX-78-2 being stoked to eat some noodles with Hello Kitty — and even an as-yet-unrevealed “real mystery solving game” that will take place over Australia's winter for fans to earn special prizes. But part of the promotion will also see a series of animated shorts released, which will see Hello Kitty and the world of Mobile Suit Gundam collide. The first is already online, and features the absurdity of Hello Kitty watching an episode of Mobile Suit Gundam, getting upset, and then just... deciding to show up in Amuro Ray’s face mid-battle?